Created in 2008, the Advanced Technology Investment Company is wholly owned by the government of Abu Dhabi. ATIC’s mandate is to deliver superior financial returns while playing a key role in Abu Dhabi’s diversification into a knowledge-based economy. 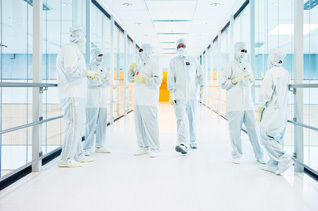 With a long-term investment horizon and a partnership mindset, ATIC fosters innovation by building leading technology companies (including GLOBALFOUNDRIES, one of the world’s largest semiconductor manufacturing companies) and making industry-changing investments. ATIC’s efforts also aim to ensure Abu Dhabi becomes a hub in the global technology network.